You’ll love the difference of our blends roasted with an exquisite balance of aroma, acidity, body and finish. Freshly roasted coffee delivered daily — straight from the cooling tray to your home, office or restaurant. 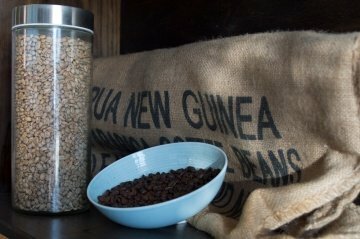 Established in 1999, Premium Coffee Roasters is a Port Macquarie based boutique coffee house with an enviable reputation. Our coffee attracts serious attention from judges and customers alike. Roasting coffee is equal parts science, art and passion – we’ve combined all three for the best part of 20 years to perfect our blends. We’re committed to ensuring and promoting sustainable practices throughout our business, including buying our supplies locally whenever possible, recycling waste, and buying materials made from renewable resources. 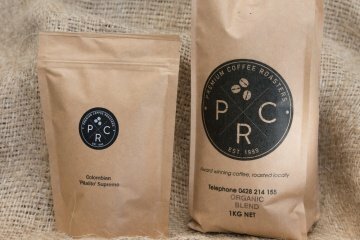 At Premium Coffee Roasters it’s well recognised that our responsibilities are to both our customers and the original suppliers of our coffee. Experience the difference of coffee roasted in small batches. Our coffees are roasted to order and packaged immediately to prevent any loss of delicate flavours and aromas. For more information about our coffee, retail location or delivery, call us or fill out the form below and we’ll quickly get back to you. 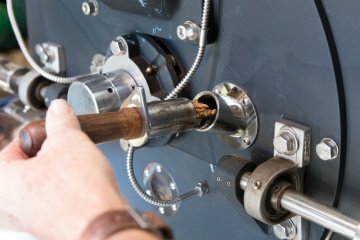 Premium Coffee Roasters are passionate and committed to “small batch” specialty coffee roasting. We select only the finest Arabica coffees from around the world to produce blends to please the most discerning palate.